We are looking for publishers around the world interested in licensing our world-renowned language courses. If you are one of them, we would like to hear from you. Become an official distributor of SuperMemo's learning resources and give your customers a choice to study from over 100 language courses in more than 10 languages. Become an affiliate and earn by advertising our courses via your channels. We can help you make money by offering our language courses to your customers or website visitors. SuperMemo, an e-learning publisher with over 25 years of experience in providing services and content for language learning. The SuperMemo World company was first to apply computers to optimize intervals between repetitions. Although spaced repetition is common in educational apps nowadays, SuperMemo continues to be the unique source of original research and development in this field. The algorithm makes sure that you minimize the time you spend on learning and repetitions, and achieve your learning goals in the most effective way. Our collection of over 100 courses comprises excellent publications to study more than ten different languages, and caters for users of various language levels, objectives and styles of learning. Why become a partner of SuperMemo World? Your clients can instantly get access to our courses, including multi-awarded Olive Green content, ready to be localised and adapted to your individual requirements. You reduce your own expenses and risk by purchasing reliable solutions whose effectiveness has been proven in practice. You receive support from a well-established company that has been on the market for over 25 years now. 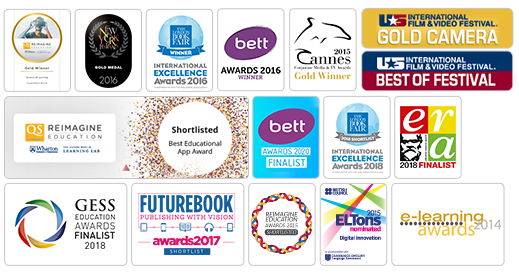 "Olive Green" – our English course, winner of the International Excellence Award at The London Book Fair 2016 and other international prizes and nominations is available for licensing or distribution. "Olive Green" is a comprehensive general English course for all levels. Based on a ground-breaking full feature interactive film, it is available online at www.SuperMemo.com and in apps (PC Windows, Android and iOS). The innovative use of interactive dialogues fosters the mastering of pronunciation and communication skills and games, quizzes and plot forks in the movie engage learners.